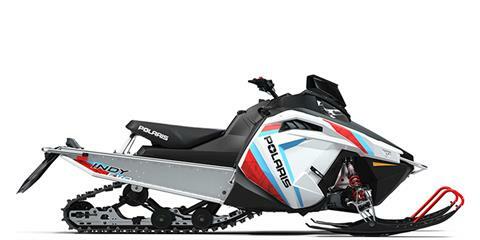 Trail-ready snowmobile built specifically for new riders. 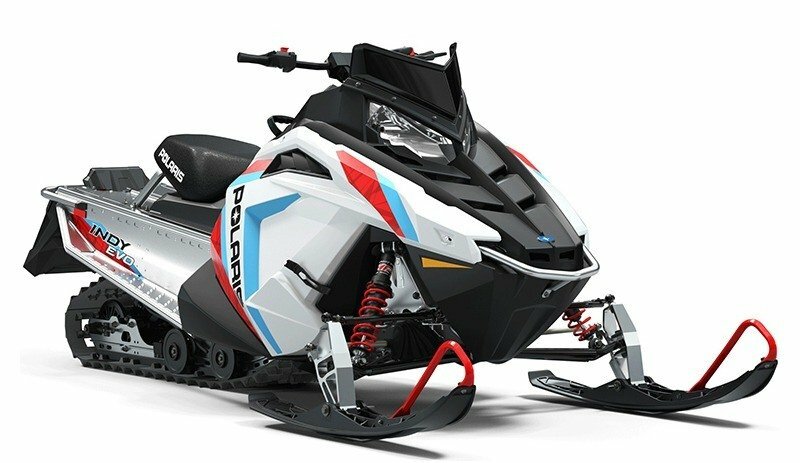 FRONT SUSPENSION AND SKI: The adjustable-stance Independent Front Suspension (IFS) allows the sled to evolve with the rider. The shocks are designed and calibrated specifically for the INDY EVO™ chassis. The all-new INDY EVO™ ski was designed exclusively for the sled and delivers confident handling and reduced steering effort. POWER AND PERFORMANCE: The proven Polaris® 550 Fan Engine brings just the right amount of power for new riders. Speed is controlled electronically to 50 mph, and an accessory kit is available for additional power as skills develop. The smooth, consistent throttle response gives the rider confidence-inspiring control. INDY EVO™ is available with and without electric start. ERGONOMICS: The rider is positioned for comfort, control and confidence. The sled is lower and narrower than a full-size sled which provides new or shorter riders more confident control. Lower seat and suspension height lowers center of gravity and enhances ride stability. Easy throttle flipper designed to be comfortably controlled by smaller hands. 121 x 15 x 0.91 in.